All equipment, including life jackets and helmets. 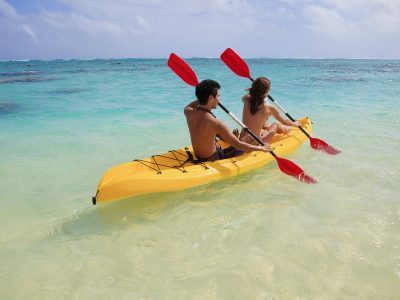 While you’re living it up on your mental stag do in Barcelona, you’ll have the Mediterranean at your toes – explore it with a kayak in BCN! 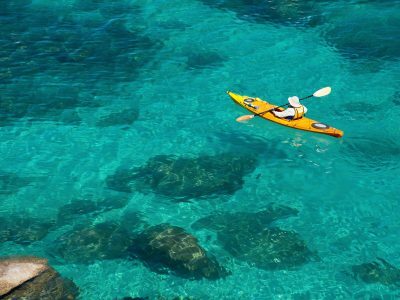 There is no better way to take in the Mediterranean than to be right on top of it, with a paddle in hand and perched on a kayak. You and the stags will have great fun riding the waves, seeing who can capsize the best man and get rid of those hangovers with a trip on the high seas! All equipment and insurances are taken care of by us, you just need to pop on your life jacket and get ready to make a splash! And as always, don’t forget to bring a towel! Two hours sounds like too long on the waves? No problem, contact your Party planner and we can organise a 1 hour trip, or even just 30 minutes!